Just a quick post, had a incident today with a user where Outlook 2013 crashed every time they attempted to send an email. It turned out that this was caused by the ESET NOD32 installation on the machine. 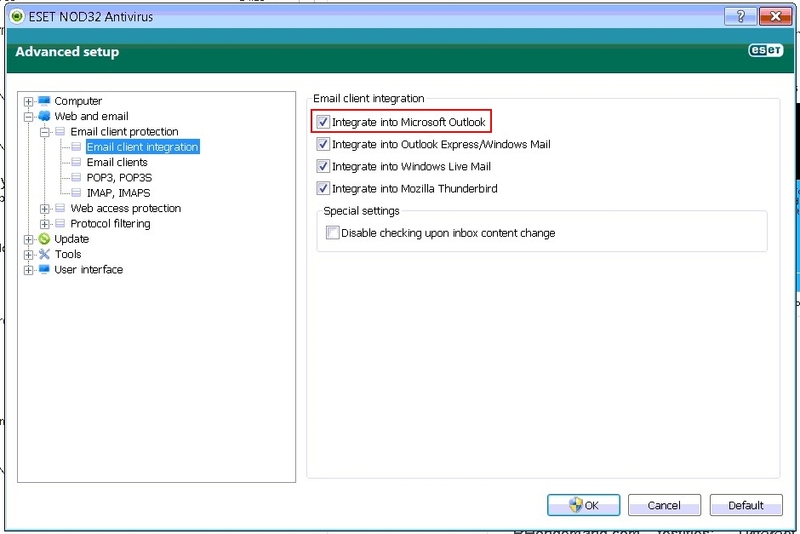 Disabling the email integration in NOD32 immediately fixes the problem.